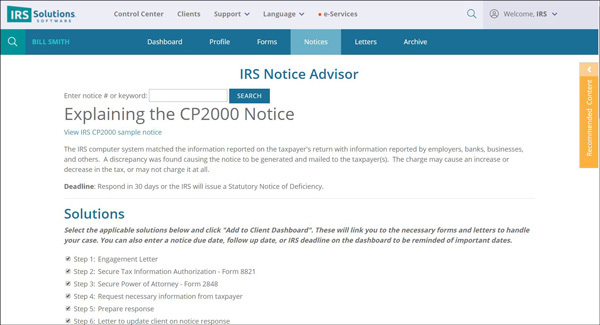 Whether it is a CP2000 or a Levy notice you will be ready to respond with ease using our IRS Software. Easy to use response templates so you can respond in minutes not hours. You can search by notice number such as CP2000 or keyword such as lien or levy. The system will populate the most relevant matches based on your search criteria. You can also leave it blank and click search to see all the notices in the system. 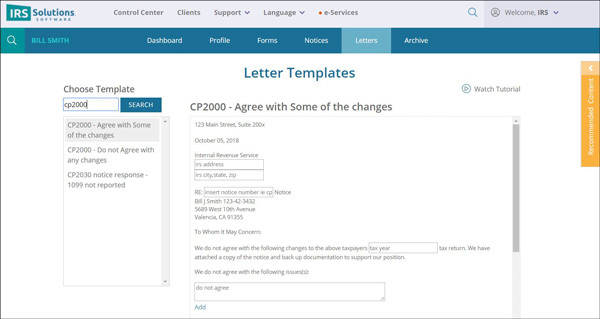 View a sample notice by clicking the blue link as the CP2000 shown in the picture. Use the summary to explain the notice to your client. Any deadlines will show here but most notices should be handled promptly to avoid increasing penalties, interest or closing statutes. When you select the correct notice, simply add the applicable solutions to your dashboard to work on later. 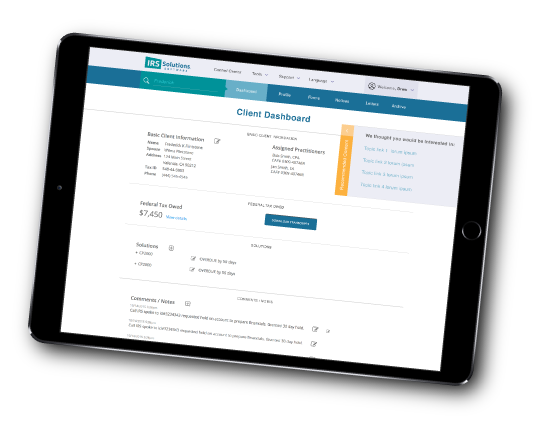 You will find additional tips and steps to help your client navigate through responding. Work your notice from the Dashboard. We provide the solutions to secure an engagement letter and power of attorney, request documents from your client, prepare a response to the IRS, and keep your client informed throughout the process. Or you can go straight to prepare a response by choosing from the list of applicable response templates. Print your letters directly to PDF. 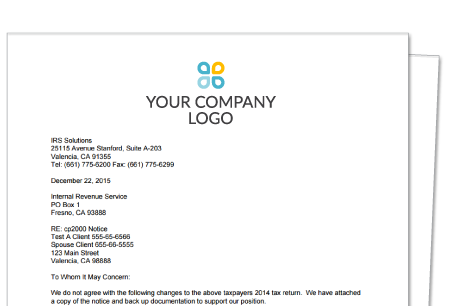 IRS Solutions Tax Resolution Software generates professional looking letters with ease including your logo and contact information. 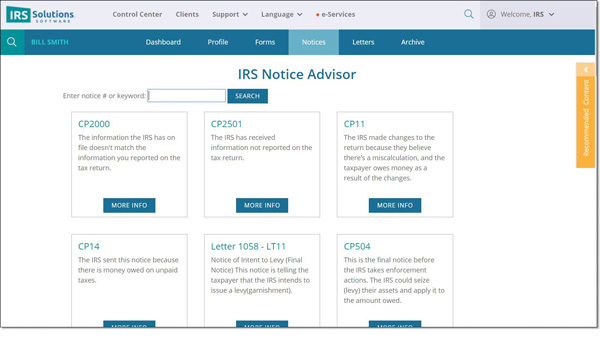 You can print to pdf, allowing you to email, mail, or fax the response to the IRS or your client.